To ask other readers questions about The Silent Patient, please sign up. Loved this book so much! I need another page turner, with twists like this one...any recommendations? As you will see, it’s an incredible story—of that there is no doubt. Whether you believe it or not is up to you. Ohhhh, I see why this book is getting so much buzz: it is virtually unputdownable. I didn't actually have any plans to read The Silent Patient. I just happened to see it hanging around in the new releases, took a quick peek, and thought-- why not? Well, I'll tell you why not. You absolutely definitely should NOT read this book if you want to go to sleep and get up for real life stuff in the morning. I read this until my eyes were like "nope" and closed on their own. It's very compelling. A psychotherapist called Theo Faber narrates the story and he announces early on that he's pretty "fucked up". He worms his way into a new job at the Grove mental health facility because of his fascination with the artist Alicia Berenson, who murdered her husband in an open-and-shut case and hasn't spoken a word since. But let us not forget that while Alicia Berenson may be a murderer, she was also an artist. Theo finds himself connecting with Alicia and feeling a desperate need to figure out why she did it. And, what's more, he wants to figure out why she is silent. What can't she say? What won't she say? The more he digs into her life, her family, and her past, the deeper in he gets. It's a fast-paced ride with short punchy chapters (oh, how easy it is to think "just one more chapter"). The story has so many threads and little surprises to uncover. More questions arise at every turn. And even those who work out the main aspect of the mystery will probably still enjoy the journey of finding out why, and all the little shocking discoveries made along the way. It is true that those who have read a number of twisty mysteries will likely guess the truth, but I think there's enough goodness here to make it enjoyable anyway. Or it was for me at least. Full of thrills, artistic metaphor, twists and Greek tragedy. Renata Emilie...truly not scary at all. Larry Kamin well written story, compicated main character. I feel like I should preface my review by stating that I have read A LOT of psychological thrillers, and coupling that with the fact that this was my most anticipated read of 2019 gave The Silent Patient a great deal of pressure. This will still be an overall positive review, but I felt I had to include some honest thoughts here as well for those readers who may need their expectations in line like I clearly did. The premise here is simply incredible; we have a woman named Alicia Berenson who is I feel like I should preface my review by stating that I have read A LOT of psychological thrillers, and coupling that with the fact that this was my most anticipated read of 2019 gave The Silent Patient a great deal of pressure. This will still be an overall positive review, but I felt I had to include some honest thoughts here as well for those readers who may need their expectations in line like I clearly did. The premise here is simply incredible; we have a woman named Alicia Berenson who is accused of murdering her husband and proceeds to clam up and keep quiet for the following six years, living during this time in a mental care facility called The Grove for highly dangerous folks. Enter Theo Faber, psychotherapist extraordinaire and flawed individual. He already has a respectable job elsewhere, but decides to transfer over to The Grove, even though it is a sinking ship, because he is obsessed with Alicia and solving the mystery behind why she murdered her husband. Along the way, we get snippets into Alicia's diary leading up to the murder, alongside of Theo's POV. I can't really give you anything more than this, because this is a novel that depends on you being fooled by the twist. You know, the big twist, the one where every blurb on the cover and every early review gives you a heads up, and perhaps that was part of the issue here for me. It seems these types of books that pull the wool over your eyes and take you by surprise are best enjoyed before anyone else has had a chance to read them. Let's come back around to the fact that I've been reading mysteries, thrillers, and suspense novels for decades, way before Gone Girl was written and these domestic dramas with tricky slight-of-hand became all the rage. If you are new-ish to the psych thriller scene, and you whole heartedly enjoyed recent novels such as The Woman In The Window, you will adore this. It was a well written, compulsive, slow burning build up to an explosive ending. Structurally, it had everything you could ask for, as it was well researched, engaging, and the perfect length of "includes what we need without being overly winded". Unfortunately, I've seen this particular twist done numerous times, so I was clued in fairly early to what the big twist would be, and without spoiling or giving anything away, the lay out of the narrative in the second half of the novel is what fully clued me in, because it was too neat and tidy to end any other way. I will say that I was so satisfied and pleased with the way the author chose to close out the final chapter, and regardless of being surprised by the twist or not, it was a classic wrap up that will stand the test of time over the years. I think I'm going to wrap it up here, and please don't let my 3 star rating dissuade you from giving this one a try. Michaelides is talented, and his writing is gripping and keeps you turning the pages regardless of the big twist. I would be honored to read his next novel and will most certainly look for his name in the future. In the meantime I have found so much in this novel worth discussing, from the portrayal of mental health care to the inner workings of various marriages, and think this will make a great winter book club choice for readers around the globe. Wow, I'm still reeling from that ending! A mindblowing, to-die for twist! A fast read that kept me intrigued from beginning to end, although the shocker came at the end. Wait......wait......what just happened? This was how I felt as a read the last few chapters! Alicia Berenson is such a mysterious, intriguing character and I was trying to figure her out the entire novel. I kept asking myself, "What is up with Alicia? "She is a famous, talented painter and happily married to her husband, Gabriel Wow, I'm still reeling from that ending! A mindblowing, to-die for twist! Alicia Berenson is such a mysterious, intriguing character and I was trying to figure her out the entire novel. I kept asking myself, "What is up with Alicia? "She is a famous, talented painter and happily married to her husband, Gabriel. They live in London and have a cozy life. Why would Alicia murder him and then never speak again? You want to know, right? Well, I did and couldn't stop reading until I found out. It is the feeling you have when you just have to know why!! The novel is narrated by Alicia's psychotherapist Theo Faber, He is determined to " fix Alicia ". I was so invested in learning what the circumstances of Alicia's silence was and had to find out if Theo could save her. Would she ever speak again? READ IT NOW to find out! I wasn't going to read this one, and then requested it on NG and I'm really glad I did. As you can tell, I really enjoyed it! Sure to be a 2019 FAVORITE ! Alicia Berenson was discovered standing over her husband - he’d been tied to a chair and shot in the face five times. Alicia gives no explanation and refuses to speak. She’s admitted to a psychiatric unit, ‘The Grove’ in North London, and six years later she still hasn’t spoken - not one single word! Theo Faber is a criminal psychotherapist who has always been obsessed with Alicia’s story, and when a position presents itself at The Grove for someone with his qualifications, he applies for the job and is successful. Theo is certain that he can get her to talk, even though others have tried and failed. Although Alicia is silent, the narrative speaks to us in a way that she can’t or won’t, throwing the spotlight on the minutiae of her life as a talented artist, and ultimately what led to the events of that fateful night. Theo’s own personal life is laid bare too, and he’s also a very complex character - indeed not unlike Alicia. If Theo’s attempts to encourage Alicia to speak are successful, will it be something he wants to hear? Because beneath Alicia’s silent exterior, she has plenty to say! (2.5) This was a solid.... meh for me. I was excited to pick up this psychological thriller because it has been getting some hype but it was a disappointment. Didn't care much for the characters, the twist was so obvious, the writing just okay. The only redeeming quality was the audiobook which made it possible for me to finish this book. Unless you never read thrillers I don't think it's worth it. Alexandra D. Couldn't agree more. Such a disappointment! Another Over-hyped “it’s all about the twist read” that fell short for me. The Silent Patient is a dark and twist-filled psychological thriller about a woman who stopped speaking the night her husband was murdered and the psychotherapist who treats her 6 years later. The plot: A psychotherapist’s interest with a patient borders on obsession. The patient does not speak. The psychotherapist believes he is the one who can get the silent patient to speak. Will he succeed? My frustrations stem from the Another Over-hyped “it’s all about the twist read” that fell short for me. My frustrations stem from the narrative. The story is told primarily from Theo (the psychotherapist's perspective) woven in with Alicia’s (the silent patient) diaries. I love an unreliable narrator, but Theo lacked the intelligence and masterful skills to make this work. He had me rolling my eyes, laughing inappropriately, and groaning from frustration. I was often commenting in my head about what an idiot he was. Had his character been more developed and less obvious, I might have enjoyed this more. Here I go again ranting about yet another book I expected to love but I couldn't look past the cartoonish characters, poorly executed plot, and a twist that I could see from a mile away. While I liked the premise, ultimately The Silent Patient was a failure for me. Meredith Marsha wrote: "He was an idiot!Just an uninteresting,flop of a man.I didn't hate the book but I sure didn't love it." "Her silence was like a mirror - reflecting yourself back at you. And it was often an ugly sight." And that, my friends, sums up this book perfectly. Dark psychological suspense is my favorite genre and books like this one are exactly the reason why. This book is the very definition of a page-turner. From the very first page I was seduced by the magnetic writing style of Alex Michaelides. Nothing is as it seems in this novel. This story is complex and multi-layered with a labyrinth of characters, each playing their part in the development of the plot. The author never once tries to lead you astray with erroneous clues in an attempt to distract you from an obvious conclusion. I never once felt like I had a grasp on how this story was going to play out, which kept me rapt until the last page. Lisa Felicia wrote: "Yayyyyyy I hope you bloody love it 😂😂"
THE SILENT PATIENT is a deep, dark tale of murder, love and revenge. This is a contemporary story steeped in a deliciously gothic tone. At the beginning of the book, we have a vicious murder, a frightening asylum setting for the criminally insane, and a suspect who refuses to speak. When Theo steps in to save the day as psychotherapist to the silent Alice, well….you are in for a twisted treat, so I can’t divulge anymore! I went into this book with expectations it would be similar to Alice Feeney’s Sometimes I Lie or one of my old favorites Before I Go to Sleep. I was wrong, it is so much better! The main characters of Theo and Alice are richly layered with just enough reveals leaked out over time that you will constantly wonder “who is the unreliable narrator here?” (You will doubt yourself over and over and I LOVE THAT!!!). Truly, one of the best books I’ve read this year! I absolutely devoured it. Theo takes you into his head, explaining the psychology involved in certain situations, as if the reader is part conspirator, part solution. There are Freudian quotes sprinkled liberally throughout this mystery--pure delight for armchair psychologists! 5, the debut of the century stars!!! Full review along with a Curry Chicken recipe featured on my blog Recipe & a Read! So first off, can I get a “hell yeah” for Alex Michaelides for this stunning debut of a novel! I ordered this on a whim on Amazon because I didn’t want to wait through the 86 holds at my library and when it came in the mail I decided just to take one little peak. However, what actually happened, was me zooming through this thrill ride at break-neck speed and finishing it in l 5, the debut of the century stars!!! So first off, can I get a “hell yeah” for Alex Michaelides for this stunning debut of a novel! I ordered this on a whim on Amazon because I didn’t want to wait through the 86 holds at my library and when it came in the mail I decided just to take one little peak. However, what actually happened, was me zooming through this thrill ride at break-neck speed and finishing it in less than 12 hours (I had to sleep ok). So needless to say, I quite loved this book. Alicia and her husband Gabriel are the *perfect* couple. Alicia is an up and coming painter and Gabriel is a noted fashion photographer. They’re young, they’re beautiful and they’re head over heels in love with one another. However, as with all thrillers that quickly comes crumbling to the ground when Alicia is found standing over her dead husbands body – after being shot in the face six times – and covered in both of their blood. As everyone around Alicia grapples with this terrifying series of events and struggle to come up with a defense not just to save Alicia’s life but to understand how this could’ve happened their met with a brick wall. Only, that brick wall is Alicia and she’s refusing to say a word. Alicia sits idly by in the court room as she is vilified and damned for killing the only man she’s ever truly loved and still, she says nothing. As she’s saved from the death penalty and instead put in a psychiatric hospital for the criminally insane, still she doesn’t say a word. Years and years go by, and still Alicia doesn’t say a word. Theo Farber is a criminal psychotherapist and he’s been following Alicia’s story since the beginning. Coming from a painful upbringing and life himself, Theo see’s parts of him in Alicia and he believes, no he knows that he can help Alicia heal. As he carefully but steadily dismantles his promising career and life in order to get a job at The Grove, where Alicia is being housed he moves his pieces about the chess board of life and gets closer and closer to Alicia hoping to uncover her story and get her to tell what happened between her and Gabriel once and for all. As it turns out, Alicia feels a draw to Theo as well. At a slow, but not tedious and incredibly suspenseful pace, Alicia begins to open up and little bits and pieces of her story are falling out left for the reader and Theo to put together. What follows is easily one of the most suspenseful, exciting, thrilling and surprising stories I’ve read in quite a long time. At the time I didn’t understand. But that’s how therapy works. A patient delegates his unacceptable feelings to his therapist; and she holds everything he is afraid to feel, and she feels it for him. Then, ever so slowly, she feeds his feelings back to him. So first things first, as someone who has an undergraduate degree in Psychology (which means next to nothing in the field) but who has also been a major advocate and participant in therapy I loved the way it was portrayed in this book. Something that irks me to no end, is the way the entertainment industry portrays not just people who attend therapy but therapists themselves. The whole “and how does that make you feel” line really annoys the crap out of me because that’s not what therapy is about. I think Michaelide’s honored the profession and despite being a pretty intense thriller and how easily it could’ve been done, therapy was never vilified but admired. So onto the meat of this story – what initially drew me in was the synopsis of Alicia killing her husband and then never speaking another word. I can’t quite explain why exactly that particular linchpin got me hook, line and sinker but it did. However, what gripped and held me and didn’t let me go from the moment I started it was an incredibly well paced story. Michaelides delivered a stunning and gripping plot, but what made it shine is that every piece of information the reader is given is given to you only exactly when it is needed to move the story forward. Nothing is sensationalized or used to provide cheap jump scare thrills. There’s a sinister undertone throughout the book and to me, The Silent Patient is the prime-o example of what the genre of psychological thriller is supposed to be. Her silence was like a mirror – reflecting yourself back at you. And it was often an ugly sight. 5 “this lived up to the hype” stars!!! I’m stunned that this is a debut novel. The skillfully scripted storyline, the truly unforgettable characters, the pulse-pounding suspense, the consistently enthralling pace, the enticing narration – all exceptionally fantastic! This was dazzling perfection! The author, Alex Michaelides, has set the bar extremely high for any follow up novels. Wow! I’m going to keep this short and sweet and avoid getting into any 5 “this lived up to the hype” stars!!! I’m going to keep this short and sweet and avoid getting into any storyline details. Bottom line, if you enjoy psychological thrillers, you MUST get your hands on a copy of this. This has easily earned a spot on my 2019 Favourites list! I am eagerly awaiting his next novel! This was a Traveling Sister read that we all loved. Thank you to my lovely local library for lending me a copy of this fantastic book! Alicia Berenson is a famous painter who has been admitted to the Grove, a forensic unit in North London. She has been charged with murdering her husband, Graham, who is a fashion photographer, after he returns home late one evening. After shooting Graham, Alicia has never spoken again. Theo Faber is a criminal psychotherapist who accepted a job at the Grove in the hopes of working with Alicia. He is obsessed with learning her motive. He knows he can get her to talk. Others have tried - others have failed. Will he be successful? Theo is also an interesting character. Most of the novel is told through him. The reader also gets a glimpse into his life, his thoughts and the inner workings of his mind. I was curious as to why he was so obsessed with learning her motive. Why is he so driven to learn the truth? Is he a fan or her artwork? Will learning the truth advance his career? This is a very clever tale which grabbed my attention right away. I was intrigued to learn what was going on. I had several theories and assumptions. Some were close and some were way off base - as in a mile off base. Of course, there is that shocking reveal - I did not see that coming - AT ALL. It really was the perfect "OMG, what did I just read?" moment followed by an "Aha!" moment. This book was a page turner for me. I kept turning the pages to learn how the book was going to unfold. The ending felt a little bit rushed and I wanted to just a tad bit more. Overall, a very enjoyable read even thought one character really annoyed me. Thank you to Celadon Books and NetGalley who provided me with a copy of this book in exchange for an honest review. The thoughts and opinions expressed in this review are my own. I’m giving this novel all the stars! What a freaking ending!!! I absolutely loved it! I listened to the audio. Both narrators were brilliant! The audio might have actually enhanced this novel! The narration was that good! Would make a good first listen. Both narrators made it very easy to follow. Well looks like I’m the outlier on this book as I have been reading many glowing 5 star reviews. Maybe I’ve been reading too many thrillers lately. For me to love a thriller all of the characters have to be well developed and intricate to the story, the plot has to be a good one and have more to offer than just the “thrill”, or wow factor at the end of the book. I found the characters to be shallow and the plot seemed to run off in several directions throughout the course of the novel. One thing proved true, this book did have me turning the pages quickly to find out what would happen at the end. However while I was turning these pages quickly, I wasn’t really getting very much out of the story. I felt as though the fact that she wouldn’t speak was the main focus of the book rather than looking into whether she was really guilty or not. I know that she had been tried and found guilty but I had hoped that perhaps the doctors would find other issues worth pursuing regarding her guilt or innocence. There are multiple characters introduced but none of them are really very well described. Dr. Diomedes is the head of the facility and he appoints a new doctor, Theo Faber, who has recently joined the staff to oversee Alicia’s care. She had previously been under the care of another physician but he hadn’t made any progress with her and so it is hoped that this new doctor will help to make her finally speak. The book is narrated by Theo and then later by Alicia as we begin to read her previously hidden diary. The book takes place in “The Grove” a private facility for psychiatric patients. Theo Faber transferred from another facility because he is obsessed with Alicia’s case. We do get to know him through his thoughts about his own marriage to Karen who seems increasingly “busy” and coming home late from rehearsals, she is an actress. This is a storyline that is introduced and somewhat developed and then just left hanging. What really is going on with Theo’s marriage? He seems to be spending all of his time at the facility with Alicia. Alicia had been a successful artist and Gabriel a photographer of some repute. There really is never any answer to the question of “why”, why would Alicia kill Gabriel. There doesn’t seem to be any evidence that they were unhappy or that Gabriel was unfaithful, there doesn’t seem to have been much research as to why she would kill her husband. She was convicted because she was found at the scene with the gun in her hand, covered in blood because she had slit her wrists in an attempt to kill herself. The twist is a good one but doesn’t come until the last 20 pages or so. I had pretty much figured it out by then but I’m sure it will come as a surprise to many. I would say read it without reading lots of reviews, decide for yourself if it is indeed “the debut novel of the year for 2019” as the publisher has written in the blurb for the book! After the last session that Theo had with Alicia he is writing everything down while it was still fresh in his mind and he states "As you will see, it's an incredible story--of that there is no doubt. Whether you believe it or not is up to you." Once I picked this book up, I couldn’t stop and finished it in two sittings. I was intrigued right from the start and found it to be quite the page-turner. Theo is a psychotherapist who has issues of his own (don’t they all?) but he finagles his way into a job at a psychiatric facility so he can work with Alicia, a patient who was found guilty some years earlier of killing her husband, Gabriel, by shooting him in the face 5 times. She has not spoken a word in the years since the murder and Theo Once I picked this book up, I couldn’t stop and finished it in two sittings. I was intrigued right from the start and found it to be quite the page-turner. Theo is a psychotherapist who has issues of his own (don’t they all?) but he finagles his way into a job at a psychiatric facility so he can work with Alicia, a patient who was found guilty some years earlier of killing her husband, Gabriel, by shooting him in the face 5 times. She has not spoken a word in the years since the murder and Theo is convinced he can help her. I’m not going to go into details of the plot as it’s best discovered by the reader. But, what follows is a twisty tale that took me by surprise. Sometimes an ending or twist comes out of nowhere, without warning. But, the author gave us all the clues, I had just failed to put them all together. And that is my favorite kind of mystery book. There were no rabbits pulled from a hat and no twists just for the sake of shocking the reader. In the end, I found myself smiling and thinking "well-done". Is it perfect? No. Are there a few plot holes? Yes. Did I have to suspend some disbelief? Yes. Did the author tend to over explain things at times when we can figure it out on our own? Yes. Did I care? No. For a fun quick and addictive read, this fit the bill quite nicely. This is a fantastic debut and I can’t wait to see how he develops as an author. I’ll be sure to read his next book. This book will make a terrific movie if Hollywood does it right. I read a lot of thrillers, so I tend to be pretty hard on them. Because, as I've mentioned, I have this tendency to suspect every single character that appears in a thriller, I'm often not as surprised as many others are when authors throw in twists and turns, or when the perpetrator is finally revealed. 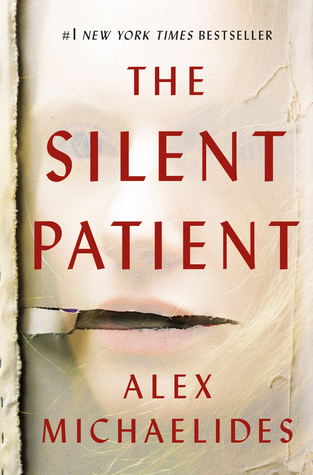 While I had some suspicions about the way things in Alex Michaelides' terrific debut, The Silent Patient , might go, I will admit he pulled one over on me at one point. I really enjoye 4.5 stars. 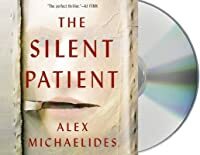 While I had some suspicions about the way things in Alex Michaelides' terrific debut, The Silent Patient , might go, I will admit he pulled one over on me at one point. I really enjoyed the way he kept me guessing and was completely hooked on this story of murder, infidelity, psychological instability, and the desire to be a savior. Alicia Berenson was an artist of some renown, but these days she's more infamous than anything else. Married to a handsome photographer for whom she is consumed by love, they seem to be the picture-perfect couple, at least to anyone on the outside looking in. One night, her husband came home late from a shoot. Moments later, he was shot five times in the face and killed, and the police found Alicia covered in his blood, as well as her own, as she attempted to slit her own wrists. From that moment on, Alicia hasn't spoken a word. Her trial for her husband's murder was a hotbed of rumors, innuendo, and media sensationalism, but no one ever finds the answers they seek, no one understands what would have made Alicia kill her husband so brutally and then try to take her own life. With no other real choice, the judge sentences her to treatment at the Grove, a forensic unit for dangerous patients, in North London. "And so, with no further revelation forthcoming, the disappointed media eventually lost interest in Alicia Berenson. She joined the ranks of other briefly famous murderers; faces we remember, but whose names we forget." But psychotherapist Theo Faber continues to be fascinated by Alicia's case, and he believes that only he can reach her, can delve down into her psyche to uncover the secrets that have kept her silent for six years now. When a position opens at the Grove, he is quick to jump on it, and it isn't long before he has convinced the clinical director, Dr. Lazarus Diomedes, to let him begin treating Alicia, even if she hasn't spoken a word to any other doctor, and has displayed sometimes self-harming and sometimes violent behavior toward others. Theo does want to help Alicia and perhaps find out the truth behind her husband's murder and the events of that fateful night. But he's also drawn to her because he believes they share a troubled childhood and even a history of emotional challenges. Theo has struggled with depression throughout his life, yet he believes he's uniquely qualified to help Alicia, and perhaps, himself. "The real motivation was purely selfish. I was on a quest to help myself. I believe the same is true for most people who go into mental health. We are drawn to this profession because we are damaged—we study psychology to heal ourselves. Whether we are prepared to admit this or not is another question." As Theo attempts to connect with Alicia, he faces challenges from his colleagues and the management of the Grove, who are considering closing down the aging facility, and from Alicia herself. Is she really mad, or is the silence an act? Is she a violent murderer or a misunderstood, grieving widow? Theo seeks answers as his own life seems to be imploding at the same time. The book's narration shifts between past and present, from Theo's endeavors to treat Alicia to Alicia's reflections of the past expressed through her personal journal. I really wasn't sure what to believe about her, and I kept waiting for some surprise to come bursting out of the woodwork. Michaelides does an excellent job teasing out the suspense in small doses, making you suspect different characters along the way, while you race to figure out the truth as Theo tries to do the same. In a sea full of thrillers, I found The Silent Patient to be a really strong one that stands apart. There were a lot of layers to this book, and Michaelides was like an orchestra conductor, making sure all of the pieces worked together. If this was his debut, there's no telling what he will come up with next. I know I'll be watching. Vicki Great review, I started it today!! Alicia Berenson appears to have it all. She's Whoa! This was brilliant! Alicia Berenson appears to have it all. She's a successful painter and her husband, Gabriel, is a famous fashion photographer. What would drive this seemingly happy woman to shoot her husband five times in the face only to never speak again? Psychotherapist, Theo Faber, is desperate to work with Alicia to see if he can breakthrough her silence to finally find out the truth. That's it. That's all you get. I don't want anyone to be spoiled. I suggest not reading too many reviews as it is inevitable that some jerk will spill the beans. Don't be that jerk! If this is any inclination as to the type of reading year 2019 is going to be then HURRAH! Dare I say that this has made it to my "favorites" shelf. Highest recommendation! All the twisted stars! This is one stealth bomber of a psychological thriller, it sneaks up on you and then whammo! It starts out with Theo, a psychotherapist, getting a new job in a facility that contains a patient named Alicia, infamous for killing her husband several years ago, then clamming up and not saying a word since. Theo soon thinks he can help her, gain her trust, and soon becomes consumed with Alicia. Slowly he starts to make progress with her, despite the antagonism of his colleagues, and when we finally g This is one stealth bomber of a psychological thriller, it sneaks up on you and then whammo! It starts out with Theo, a psychotherapist, getting a new job in a facility that contains a patient named Alicia, infamous for killing her husband several years ago, then clamming up and not saying a word since. Theo soon thinks he can help her, gain her trust, and soon becomes consumed with Alicia. Slowly he starts to make progress with her, despite the antagonism of his colleagues, and when we finally get to the truth of that night, well, let's just say it's mind-blowing. Alex Michaelides impresses with his terrific debut, a twisted, multilayered, intricate, and complex psychological thriller of murder, obsession and madness. Famous artist, Alicia Berenson, married to well known photographer, Gabriel, shoots her husband five times and has not spoken since. After a plea of diminished responsibility, she has been incarcerated at a North London psychiatric facility of The Grove. Ambitious Theo Faber is a forensic psychotherapist, obsessed with Alicia having followed Alex Michaelides impresses with his terrific debut, a twisted, multilayered, intricate, and complex psychological thriller of murder, obsession and madness. Famous artist, Alicia Berenson, married to well known photographer, Gabriel, shoots her husband five times and has not spoken since. After a plea of diminished responsibility, she has been incarcerated at a North London psychiatric facility of The Grove. Ambitious Theo Faber is a forensic psychotherapist, obsessed with Alicia having followed her story, and when a vacancy opens up at The Grove, he finds his way in. No-one has managed to get Alicia to open up, Theo sees himself succeeding where everyone else has failed. Alice may be silent, but silence can speak by other means, such as Alicia's self portrait that draws on Greek mythology where she depicts herself as Alcestis. Oumaïma (readwithmima) This is an amazing review! Choosing a lover is a lot like choosing a therapist. We need to ask ourselves, is this someone who will be honest with me, listen to criticism, admit making mistakes, and not promise the impossible? I've read A LOT of psychological thrillers. In fact, it's my favorite genre to read. Since I've read so many, a lot of the times I see the same story lines and this book is a new story line for me. It gives me that thrill. Alicia Berenson is no longer speaking. She 5 Psychologically Thrilling Stars!! Alicia Berenson is no longer speaking. She has just been found guilty for shooting her Husband, Gabriel. Theo Faber has a troubled past. He decides early on that he wants to becoming a psychotherapist so that he can help people the way he was never helped. He learns that Alicia is a patient at the center he just laded at a job at. He also hears she is mute and wants to take on the challenge of getting her to talk and find out what really happened. Throughout Alicia's life, she was an Artist and her art was a her best way of communicating her feelings and thoughts. One day, Theo thinks to present Alicia with her own art canvas, outside of art therapy, to express how she feels. She starts to paint and they're convinced they are getting to her. One day, Alicia reacts to Theo and ends up handing him a Diary that she has kept with the entire story, well at least Theo thinks it's the entire story. From here, a couple twists unravel only to unveil the grand finale. I'll tell you, this twist got me. I'm still thinking about it. This is both Alicia and Theo's parallel stories about problems that have happened in their lives. Theo has family and marital issues and Alicia has psychological and trust issues. I loved that the author included psychological issues even within the psychological team in the book. I think this is what really made it a home run for me. This book is a debut and by no means would I have assumed that when I read it. It's written at a perfect pace and worded just right so that you most likely aren't going to guess the twist. I had my theories but I was so so so wrong. I also had that WHAT moment and that's a sign of a good book, for me. I am personally interested in psychology (psych minor in college!) and I have dealt with Depression/Anxiety for years now. I think being interested in these and invested in characters who deal with these issues made this book shine, in my opinion. This book will easily go down as one of my top 5 in 2019. I will definitely be reading more of Alex Michaelides books in the future. If you're a thriller fan, you need to pick this one up 100000%! It publishes February 5, 2019! Promising to be the debut novel of the season, I decided to make this my first read of 2019! Alicia Berenson was a famous painter, married to an in-demand fashion photographer, living what appears to be a life that others would envy...till she kills her husband by shooting him in the face, five times, and never speaks another word. Her only assertion about what happened is her self portrait, Alcestis, named after the tragic heroine of the Greek tragedy by Eu Promising to be the debut novel of the season, I decided to make this my first read of 2019! Her only assertion about what happened is her self portrait, Alcestis, named after the tragic heroine of the Greek tragedy by Euripides. Her painting is of her naked body, fresh scars on her wrist, a blank expression on her face and a paintbrush in her hands, dripping red paint...or is it blood? Determined to get her to talk is Theo Fabre, a criminal psychotherapist. He begins a quest for the truth, not unlike what a detective might do, but is he the right Doctor for this patient? Excerpt: Alicia was standing by the wall, being restrained by Yuri and another nurse. But no physical restraint was necessary. She was totally calm, perfectly still, like a statue. her expression reminded me sharply of the painting-the Alcestis. Blank. Expressionless. Empty. She stared straight at me. For the first time, I felt afraid. Told from Theo’s perspective and through Alicia’s diary entries, I still did not know where this book was going with only 10% left to read. It was probably just a 4 star read for me at this point. I did NOT see it coming. And, I was NOT disappointed. I have no hesitation in recommending this to readers who love a good psychological thriller. Astonishing, unputdownable and spellbinding stuff here! Loved....loved....loved! This book is exactly what I needed…...a fast-paced and fully absorbing thriller that I literally could not put down or stop thinking about. This was some fantastic storytelling! THE SILENT PATIENT by ALEX MICHAELIDES is a dazzling, fascinating, compelling, and an absolutely fabulous psychological thriller novel that was quite the immersive and thrilling book to read. Right from the very beginning I knew that this book Astonishing, unputdownable and spellbinding stuff here! THE SILENT PATIENT by ALEX MICHAELIDES is a dazzling, fascinating, compelling, and an absolutely fabulous psychological thriller novel that was quite the immersive and thrilling book to read. Right from the very beginning I knew that this book was going to be a gripping page-turner for me and I’m happy to say that it totally held my attention right to the very end, making this quite the compulsive and all-consuming read. ALEX MICHAELIDES delivers an impressive, clever, suspenseful, entertaining and well-written read here with an intriguing and refreshing premise, an intoxicating mystery and irresistible compelling characters. I thought this was an extremely well-crafted thriller where the author seductively guides you to the shocking and twisty conclusion. This book definitely appealed to this psychological thriller lover even though I wouldn’t necessarily say there is anything new here and you might have your suspicions early on like I did but it was all in the execution here that made this quite the fantastic and exhilarating read. I thought it was so cleverly and originally done. If an author can still make that ending shocking and thrilling to read even if you think you’ve figured out the outcome well then I’d say that is one heck of an accomplishment and perfect read! This was an absolutely fabulous psychological thriller that quickly made it into my favourite reads shelf making this my very first favourite of 2019! Cover: Intriguing, unsettling, creepy, eye-catching and an extremely fitting representation to storyline that kind of gives me the heebie-jeebies to look at. Title: The title of this book is an extremely fitting representation to storyline that definitely piqued my interest, totally intrigued and fascinated me. Writing/Prose: Well-written, entertaining, compelling, engaging and convincing. I thoroughly enjoyed the writing style and it definitely spoke to me. Plot: Engrossing, refreshing, suspenseful, interesting, complex, fast-paced, and highly entertaining. Ending: A surprising and twist ending that definitely should shock and wow the reader regardless if you’ve figured it out or not. The ending was totally satisfying and did not disappoint!! Overall: A fantastic and riveting read that had me totally absorbed within this story right from the very start, thoroughly enjoying every minute of this debut thriller! Would recommend! Thank you so much to NetGalley, Celadon Books and Alex Michaelides for the opportunity to read an advanced copy of this book in exchange for a review! As a psychotherapist, Theo Faber thought it was obvious that Alicia Berenson had suffered a severe trauma surrounding her husband, Gabriel’s death. “Alicia joined the ranks of other briefly famous murders; faces we remember, but whose names we forget”. NOT Theo Faber!! He ‘never’ forgot - even though nearly six years have gone by. Alicia was admitted to a mental institution- rather than prison - even though all evidence pointed to her killing her husband. Characters were under-developed and flat. As a psychotherapist, Theo Faber thought it was obvious that Alicia Berenson had suffered a severe trauma surrounding her husband, Gabriel’s death. Characters were under-developed and flat. At the beginning of the story, we learn Theo was drawn to psychology to heal himself. Alicia has been silent since the night of her husband’s murder. Want to know why Alicia never talked? Why she stayed completely speechless for six years? It’s not all that interesting - honest! Needed much more pulp to make her story juicy! Mostly...this novel was lacking in *joy*. I didn’t know how the book was ‘exactly’ going to end - but it was clear for me early on who the real troubled silent patient was. 2.5 stars - rating up - being a debut that has somehow managed to draw major buzz royalty! Deyanne Wish I had been able to read your reviews prior to purchasing it. Rats. I won't be reading it. C'est la vie. On to the good stuff! Bravo to Alex Michaelides for writing a Fabulous Mystery/Suspense! There’s something to be said for being silent. Just ask Alicia Berenson. After shooting her husband in the face five (5) times, she remains silent. Thereafter, she is remanded to a mental hospital called the Grove where no one can get her to utter another word. Theo Farber is a Psychotherapist, who, after being hired, begins treating Alicia Berenson. He is desperate to help her. Unfortunately, sometimes the genie is better 4 Stars. Theo Farber is a Psychotherapist, who, after being hired, begins treating Alicia Berenson. He is desperate to help her. Unfortunately, sometimes the genie is better left in the bottle! “The Silent Patient” is a psychological suspense at its best. While I had an inkling in the beginning as to what was going on - it completely escaped me at the midway point, such that by the end, I was so torn up about one character that I was like “Oh duh!” (Insert emoji hand to the face!!). What else can I tell you? This is storytelling at it best. Admittedly, the psychology behind this one is a bit dark and disturbing and it got to me! Believe it or not, I do have experience with staying silent. It’s not easy guys! When I was 10, I had an all girls birthday party and my mom suggested this game (which should speak volumes (lol)), it was called: “Who could be quietest the longest?” Needless to say, I didn’t win (I lasted 5 minutes). My friend Beth won and was silent for 30 minutes. Now at 10 years old, being silent for 30 minutes was an eternity.. I’m still impressed to this day! Thinking about the amount of time Alicia Berenstein was silent in this novel, well, given the story I told you above, it’s not something I can imagine. “The Silent Patient” is a fast-paced novel with thrilling characters that keeps you on your toes. The motivation behind them kept me intrigued and I am sure it will do the same for you! This was a buddy read with Kaceey which we both really enjoyed. Thank you for waiting for me to read this one Kaceey! I really appreciate it. Susanne Strong Holly wrote: "Well said Susanne!!" Susanne Strong leslie hamod wrote: "Agreed, there is much to be said about remaining silent. Wonderful review! I also loved this!🌹"
leslie hamod wrote: "Wonderful rev leslie hamod wrote: "Agreed, there is much to be said about remaining silent. Wonderful review! I also loved this!🌹"
leslie hamod wrote: "Wonderful review! I also loved this book! It kept me guessing until the unexpected end!🌹"
Silence speaks volumes. It may be the silence of reproach. It may be the silence of speechless shock, fear or guilt. It may be the silence of rage. Perhaps it is a watchful, patient silence. It may also be the silence of simply having nothing to say. After a woman murders her husband and refuses to speak, a therapist whose stock –in-trade is speech is determined to uncover the motivation behind such a heinous act. This is a sneaky psychological thriller that left me at a loss for words. She tied her husband to a chair. She shot him multiple times. She slit her own wrists. She stood there and waited for the police to arrive. ...at least, that's what THEY say she did. Alicia Berenson isn't SAYING anything. When Theo Faber, criminal psychotherapist, takes a new job at The Grove, he is well aware of their most famous patient, Alicia Berenson. In fact, Theo's goal is to work with her, to see if he can get her to reveal what really happened on the night her husband was killed. Through Theo' She tied her husband to a chair. Through Theo's perspective, his investigation, and Alicia's own diary entries, the reader is brought along on a hair-raising mystery that is not for the faint of heart. Guys, I absolutely loved this book. This is the type of thriller that I really enjoy sinking my teeth into. The use of the diary entries, paired with Theo's investigations, made for a perfectly paced reveal! Alicia Berenson, a famous painter, shoots her fashion photographer husband in the face 5 times, killing him and then never utters another word again. Theo Faber, a criminal psychotherapist, has been obsessed with Alicia and her silence for years and he finally works his way onto the staff of at the Grove, a secure forensic unit and then manages to secure the position of Alicia's psychotherapist. Very little is really the way it seems in this addictive psychological thriller and it had me on the Alicia Berenson, a famous painter, shoots her fashion photographer husband in the face 5 times, killing him and then never utters another word again. Theo Faber, a criminal psychotherapist, has been obsessed with Alicia and her silence for years and he finally works his way onto the staff of at the Grove, a secure forensic unit and then manages to secure the position of Alicia's psychotherapist. Very little is really the way it seems in this addictive psychological thriller and it had me on the edge of my seat from the first chapter. Karen I'm listening to this one right now. Good so far! marilyn Karen wrote: "I'm listening to this one right now. Good so far!" Having seen a lot of good reviews about this book I was in 2 minds whether to read it. sometimes the books that have the most hype are not always the best books and can be quite a disappointment. I was held captive and read it in 1 sitting. Alicia is standing covered in blood next to her dead husband Gabriel, who has been shot in the face several times. The obvious scenario is that she shot him? Alicia was taken to a psychiatric facility called The Grove, where she has not spoken for 6 years. Will Having seen a lot of good reviews about this book I was in 2 minds whether to read it. sometimes the books that have the most hype are not always the best books and can be quite a disappointment. Alicia was taken to a psychiatric facility called The Grove, where she has not spoken for 6 years. Will the truth ever be revealed and will She ever speak again!! A new Psychiatrist Theo arrives at The Grove determined that he can help Alicia and win her trust, so that she will speak again. He investigates her past and becomes obsessed with finding out the truth. This story takes us on a journey with an abundance of twists and turns that left me speechless at the end. I really did not expect that outcome and had to re-read it as I still can’t believe what just happened. I needed a lie down in a dark room to recover!!! A must read book that deserves more than 5 stars. Please believe the hype as this is going to be a massive hit. Clear you’re diary first as you won’t want to put this down!! A seemly perfect life, a murder, a wife who refuses to speak and a therapist obsessed made for a very intriguing read for us. The Silent Patient is a clever, original and complex fast-paced character-based psychological thriller with one of the best gasp-worthy twists I have read. Paying attention to this character study might pay off with picking up some of those well-layered clues that lead to a very pleasing gasp-worthy twist. One even if you did pick up on some of those layered clues you migh A seemly perfect life, a murder, a wife who refuses to speak and a therapist obsessed made for a very intriguing read for us. I went into this not knowing much about it, other than it was getting high marks on GR and other book sites I frequent. Well, it wasn’t what I anticipated as far as plot. I thought it would be all about Alicia, an artist who kills her husband and then stops speaking. But it’s as much, if not more, about Theo, her therapist. It definitely gripped me from the get go. Everyone seems to have secrets and be lying. Families and marriages are truly screwed up. I loved the way the author used psychological theories and Greek mythology to move the story forward. Theo was a fascinating character. I never knew what to make of him. Was he helping or hurting Alicia? Did he really know what the hell he was doing? The book’s pace is perfect. A Goldilocks not too fast, not too slow book. I listened to this and both narrators did a good job. I kept finding myself searching for ways to sneak a few extra minutes of listening time into my day. I did foresee most of the supposed twist at the end. Not entirely, but enough. There were also a few holes in the plot which prevent me from giving this a five star rating. Take the time to listen to the interview with the author, which discusses his inspiration for the book. Thanks to this book, Thriller has officially become one of my top three favourite genres, behind Fantasy and Romance. There’s something deeply satisfying about reading a story that gives you opportunities to make up your own mind about what happened but at the same time takes you on an unforgettable and twisted roller-coaster that unsettles the hell out of you. You also wonder how far the author will go and feel respect for them when they push limits and steer clear of predictable paths. I won’t Thanks to this book, Thriller has officially become one of my top three favourite genres, behind Fantasy and Romance. There’s something deeply satisfying about reading a story that gives you opportunities to make up your own mind about what happened but at the same time takes you on an unforgettable and twisted roller-coaster that unsettles the hell out of you. You also wonder how far the author will go and feel respect for them when they push limits and steer clear of predictable paths. I won’t lie, I am a tiny bit terrified of Alex Michaelides right now. I’m sure he’s (probably) a decent human being but it doesn’t change the fact that he has a mind that can conjure nightmares in me or any other reader. He reminds you that the world is a safe place—it was built to sustain communities—but anyone can be triggered and disrupt your safe haven in a second. I cannot and will not tell you anything that happens in this story, other than the fact that the narrator, a psychotherapist, is trying to make a disturbed patient at a psychiatric unit open up about her past and what led her to kill her husband. It is profoundly messed up. If you are the kind of person to believe the world is made of unicorn-people and rainbows and sunshine, stay far far FAR away. It will not only play with you but also betray you. I feel quite betrayed right now, truthfully, both by the characters and the author. I have no idea whom I relate to or like more or just think deserves a second chance, the patient or the psychotherapist? No idea whatsoever. This is good because it means the protagonists are three-dimensional and memorable, but it’s also bad because there is very little amount of decency here and part of me tries to see the good in everyone. I could write a thirty-page essay on this and still I may not arrive at a conclusion. Addictive, shocking and thought-provoking story.